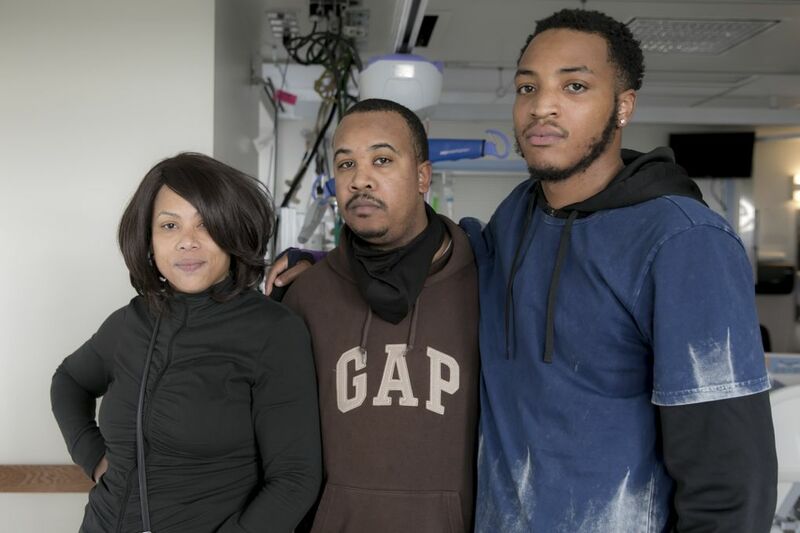 DaShawn Horne left the hospital after three months recovering from a traumatic brain injury after what police call a racially motivated attack. His homecoming is marred by a family dispute over $125,000 raised for his care in a GoFundMe campaign. 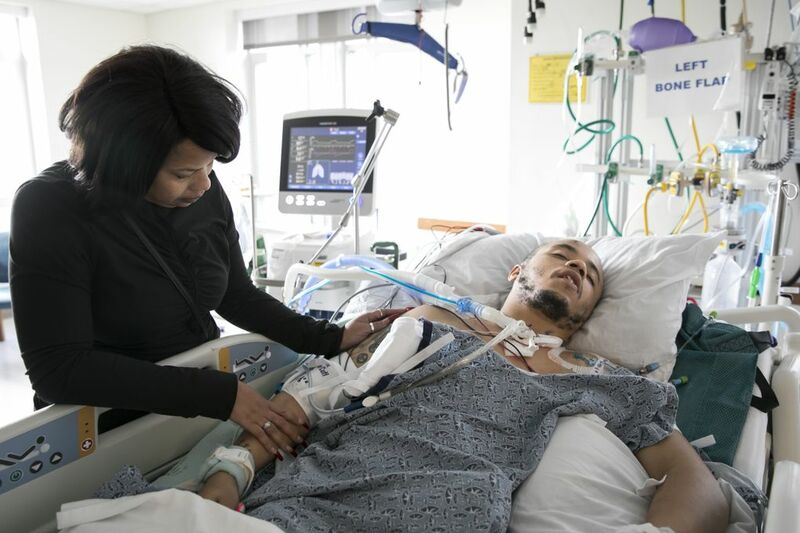 The wheelchair that sits at the foot of DaShawn Horne’s bed doesn’t get much use because the 26-year-old is determined to walk as much as possible, even though he still has to wear a hard plastic helmet and a belt looped around his waist anytime he gets up. The helmet is to protect the left side of his head where doctors removed a piece of Horne’s skull to relieve swelling in his brain after he was attacked with a baseball bat in January in what police say was a racially motivated hate crime. The belt is to allow his caregivers to provide extra support in keeping Horne upright. After spending weeks in the intensive-care unit at Harborview Medical Center, where he underwent a couple of surgeries, Horne had to relearn how to walk and talk and regain control of his body. The former high-school football star left the Seattle hospital a week ago on his own two feet. “He just moves too fast. He wants to show us that he’s independent,” said his mother, LaDonna Horne, who moved her son’s bedroom from the second floor of her two-story Auburn house into the den off the kitchen. Earlier this week, Horne flashed a smile and nodded his head when asked if he was happy to be home, then returned his attention to the TV show he was watching. He will soon begin outpatient therapy at Harborview and will have another surgery at the end of the month so doctors can replace the cranial bone they removed in January. Horne’s once-muscular frame is leaner now, but he’s joking around and his old personality is returning — something that wasn’t assured given the severity of the traumatic brain injury he suffered. But his homecoming has been marred by a messy family dispute over control of the nearly $125,000 raised through a GoFundMe campaign after a Seattle Times story about Horne went viral. His uncle, Rodney King, hired an attorney and set up a living trust with the funds, but Horne’s mother says she hasn’t seen a penny of the money and has filed a police report, accusing her brother of fraud. The rift has divided the family and led to bitter social-media exchanges even as Horne has continued to make remarkable progress in his recovery. “They’re both hardheaded,” Rhonda King, one of Horne’s aunts, said of her siblings. 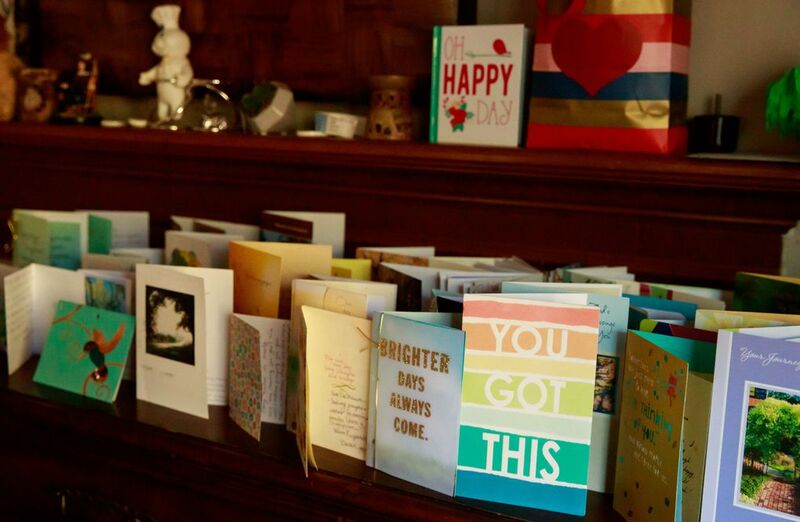 She said hurt feelings and an unwillingness by her brother and sister to talk things out has allowed the situation to get blown out of proportion, which has led to some family members being barred from visiting Horne, first at the hospital and now at his mother’s home. 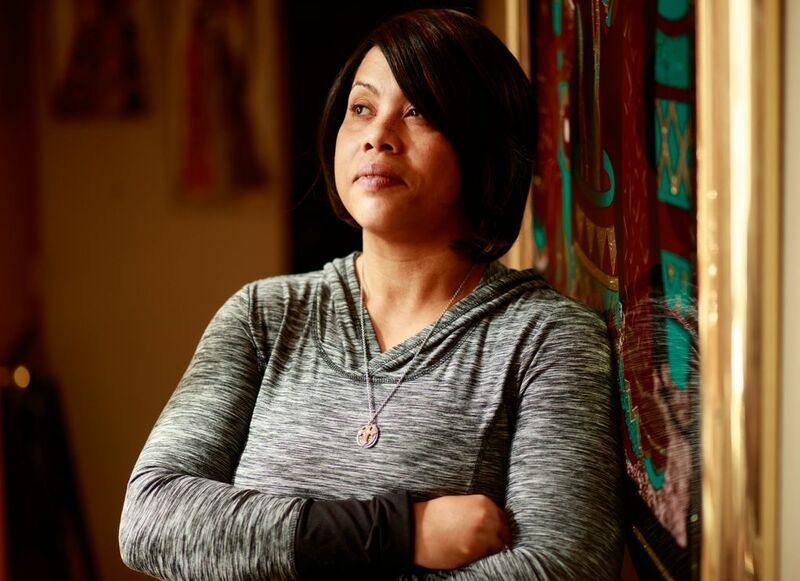 Both LaDonna Horne and Rodney King said they’re just trying to protect Horne and make sure he and his young son are taken care of while he works to rebuild the life he lost to a violent, unprovoked assault. Eighteen-year-old Julian Tuimauga, of Auburn, was charged with first-degree assault and malicious harassment — the state’s hate-crime statute — after he allegedly attacked Horne with an aluminum baseball bat on Jan. 20. According to charging papers, Tuimauga was incensed that his sister — who Horne had met the previous evening at a Seattle nightclub — had spent the night with a black man. The next morning, the young woman called a Lyft car to drive Horne home, the charges say. The Lyft driver — who had backed into the driveway of a home in the 600 block of 27th Street Southeast — witnessed the assault and called 911. The driver later told police he heard the first strike of the bat, then turned, saw Tuimauga hit Horne twice in the head and watched Horne fall to the ground, say charging papers. The driver heard Tuimauga say, “This is what happens when you bring black people around here,” before continuing his attack on Horne, who by then had lost consciousness, according to the charges. Part of the incident was captured by a neighbor’s video-surveillance cameras, the charges say. Since his arrest that day, Tuimauga has been jailed at the Maleng Regional Justice Center in Kent in lieu of $500,000 bail, jail records show. On April 26, a King County Superior Court judge continued Tuimauga’s case-setting hearing to June because a psychological evaluation on Tuimauga is pending and prosecutors are contemplating a possible plea deal, according to court records. Sgt. Ryan Abbott, a King County sheriff’s spokesman, confirmed this week that a detective is actively investigating LaDonna Horne’s fraud allegations against her brother. Meanwhile, Rodney King’s attorney, Clinton Wilcox, said DaShawn Horne and his son, Deion, are the named beneficiaries of the trust fund set up with the GoFundMe money and King is the trustee. “I think it’s disappointing my client’s name is being dragged through the mud when he’s gone to some extraordinary lengths to create additional accountability so the money is being used for the purposes it was intended,” Wilcox said. Rodney King, who hasn’t seen his nephew since the fight with his sister erupted in mid-March, said he thinks LaDonna Horne has been trying to profit from her son’s pain and he doesn’t trust her to spend the money wisely. King said some of the donated money has been used to make child-support payments and pay off other debts his nephew had accrued before the January attack. King admitted he’s blocked his sister’s calls and said she needs to go back to work. “Any time she has any bills, all she has to do is send them to me and they will get paid,” King said of his sister. He said there are no medical bills because they were covered by insurance and the state’s Crime Victim Fund. The Seattle Times generally does not name individuals accused of a crime until charges are filed, but King and his attorney spoke freely about the dispute. LaDonna Horne — who has also accused her brother of trying to profit off her son — said she is the one who remained by Horne’s side during his three-month hospital stay after her co-workers at Valley Medical Center’s Cascade Clinic in Renton donated their vacation time to her. She is a patient-service representative at the clinic. Her son will need 24-hour care for at least the next six months and she wanted to be the one to provide that. But without direct access to the money to cover living expenses, she returned to her job on Tuesday, five days after bringing her son home from the hospital. 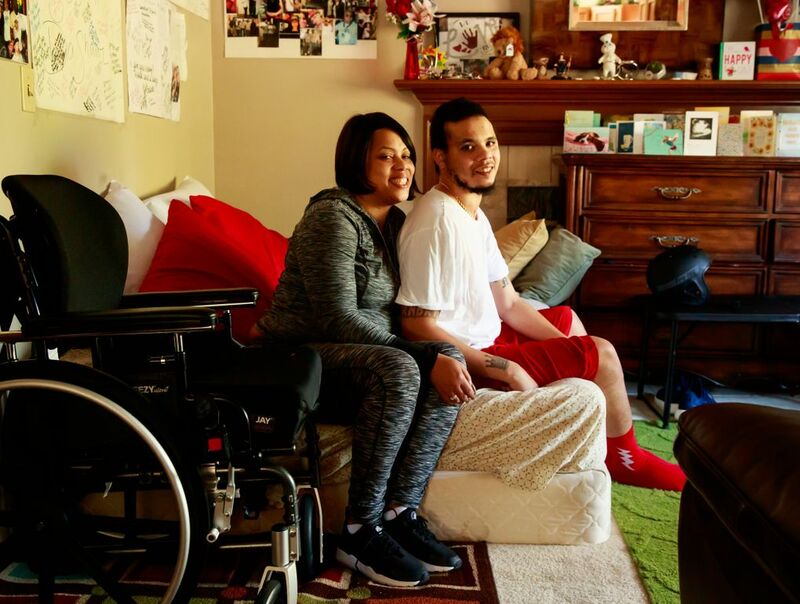 DaShawn Horne’s 24-year-old sister, Da-Nesha Mitchell, who recently graduated with a psychology degree from Eastern Washington University, turned down a job offer to become her brother’s full-time caregiver. La Donna Horne jokingly calls Mitchell “the drill sergeant” because she pushes her brother to do the daily exercises aimed at strengthening muscles weakened during his long recovery. LaDonna Horne attributes her son’s survival to God and the prayers said on his behalf by people all over the world. But she said she’s hurt by the way things have played out with her relatives over the donated money.